The Dutch son-in-law of one of Russia's richest men was sentenced on Tuesday to 30 days in prison and fined $20,000 for lying to Special Counsel Robert Mueller's investigators about contacts with an official in President Donald Trump's 2016 campaign. 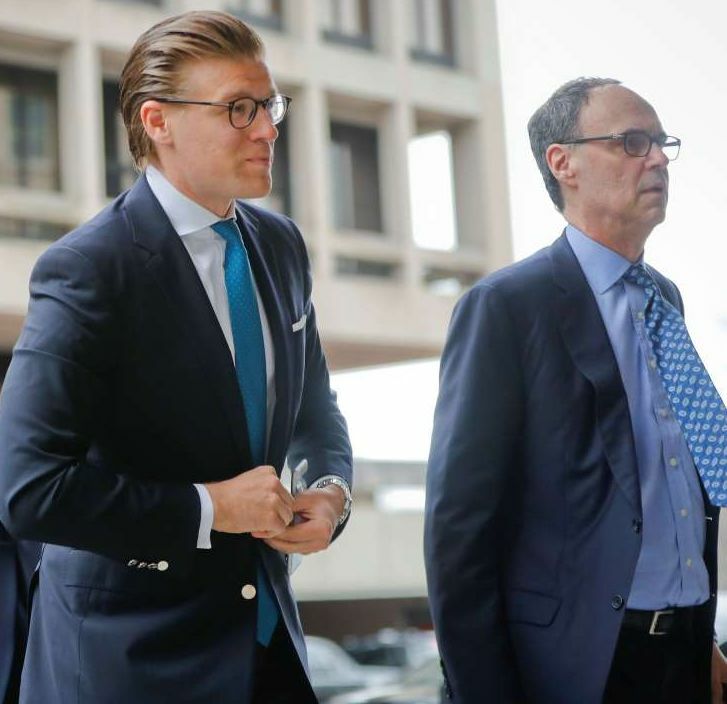 Alex van der Zwaan, a lawyer who once worked closely with Trump's former campaign chairman Paul Manafort, was also sentenced to two months of supervised release and said he was sorry for what he did. He pleaded guilty on Feb. 20 as Mueller intensified his investigation into potential collusion between the president's campaign and Russia, and told prosecutors he lied to FBI agents about previous communications with Rick Gates, a Manafort protege who held a senior position in the Trump campaign. "What I did was wrong. I apologize to this court, and I apologize to my wife," van der Zwaan said at the hearing. Van der Zwaan, 33, previously worked for the law firm Skadden Arps, Slate, Meagher and Flom and is married to the daughter of prominent Russian billionaire German Khan, founder of the privately owned Alfa Bank. The couple is expecting their first child later this year.